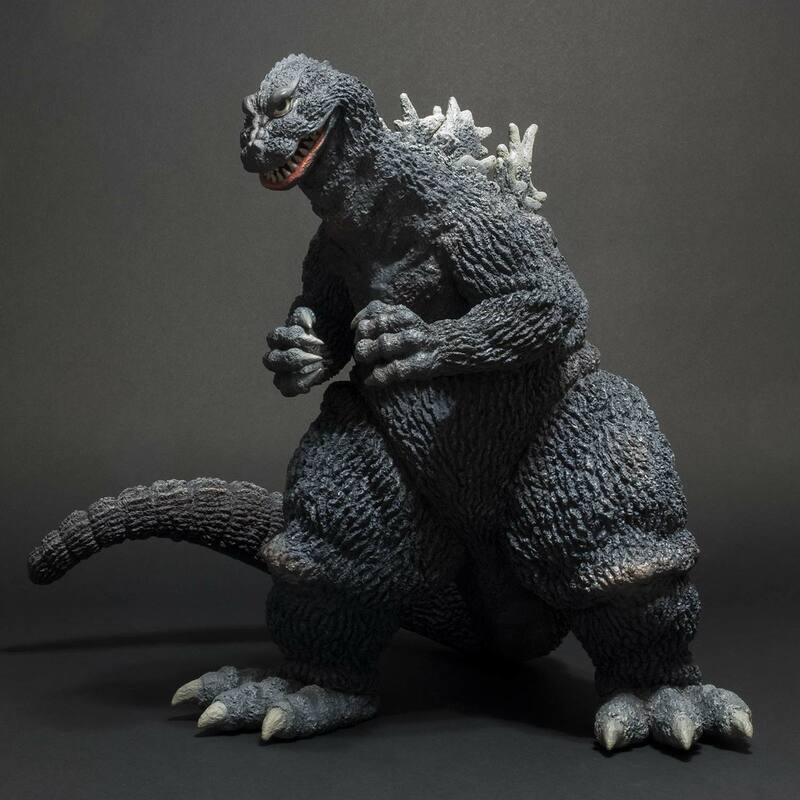 Leslie Chambers reviews the Toho 30cm Series Favorite Sculptors Line Godzilla 1962 vinyl figure by X-Plus. Super collector, David Eric Dopko makes a special appearance in this one! 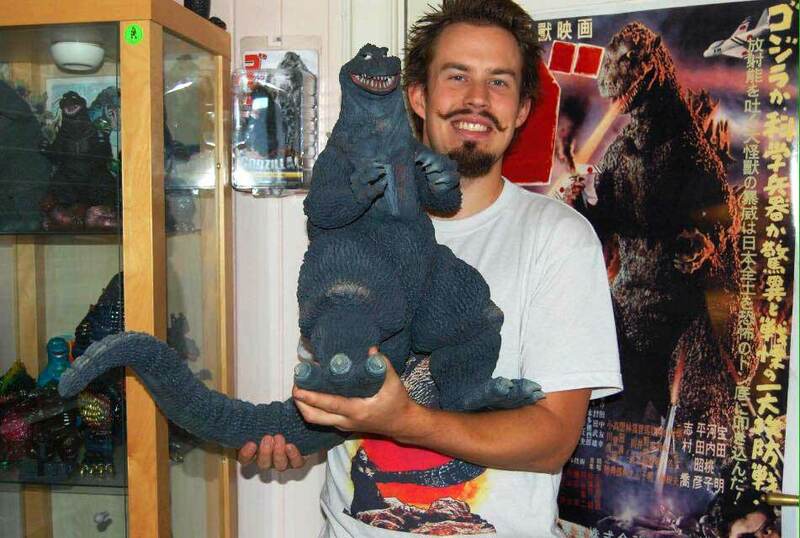 Gojira851 reviews the Toho 30cm Series Favorite Sculptors Line Godzilla 1962 standard version vinyl figure by X-Plus. 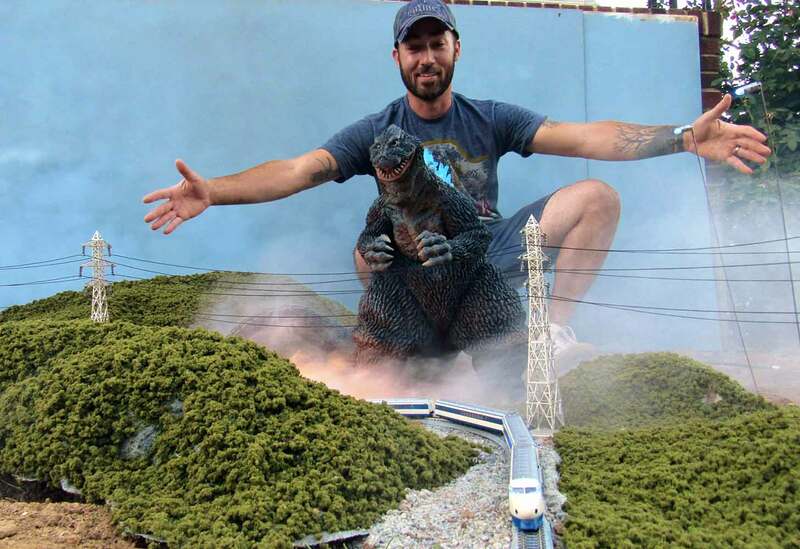 William Fett reviews the Toho 30cm Series Godzilla 1962 vinyl figure by X-Plus. This one came out a long time ago so you’ll have to hunt for one if you need to add it to your collection. 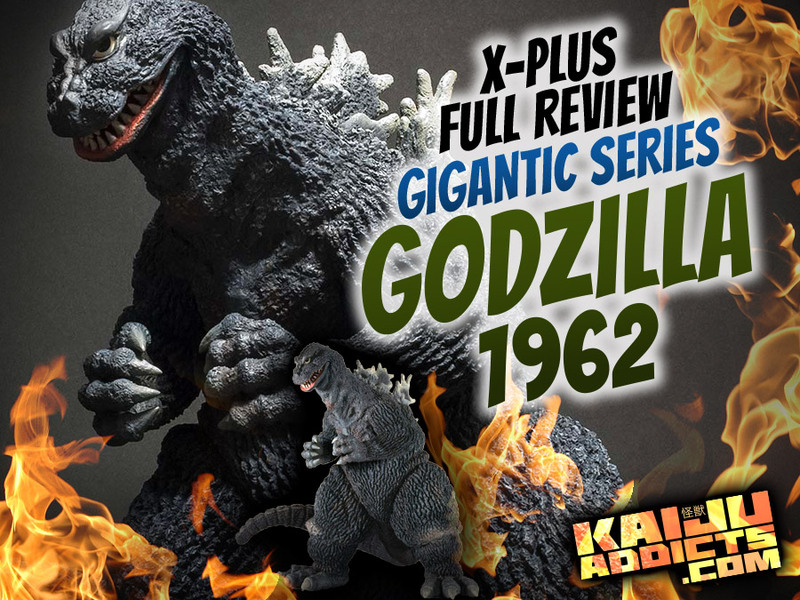 Leslie Chambers reviews the Gigantic Series Godzilla 1962 RIC BOY vinyl figure with blue fins by X-Plus. He also compares the figure side-by-side with the Standard version. 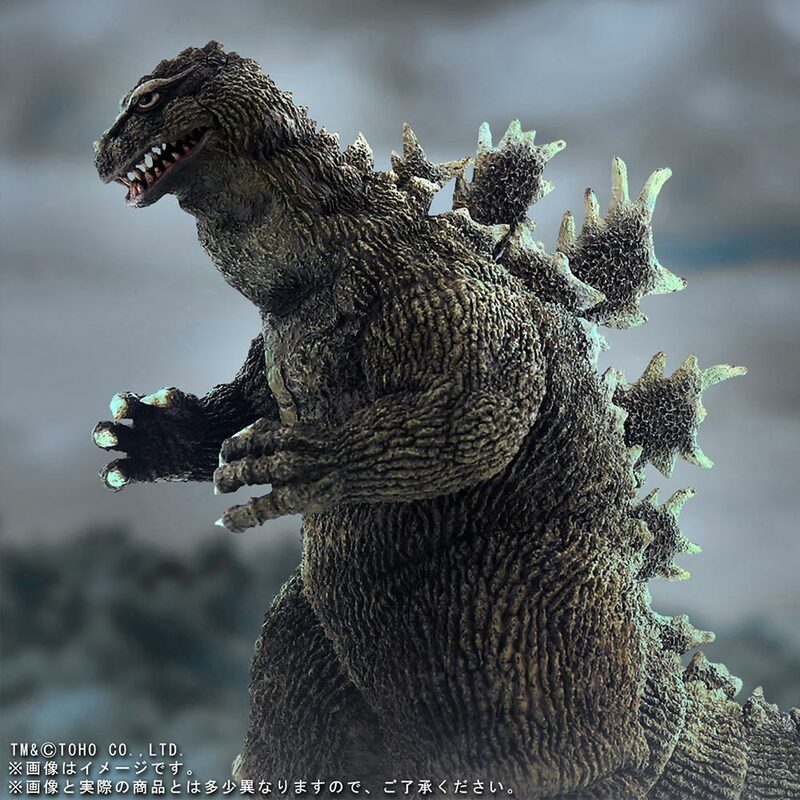 X-Plus had tackled fan favorite Godzilla 1962 twice before (post 2008) in both the Large Monster Series and the Toho 30cm Series. The third time is a (big) charm with this latest release. The X-Plus Gigantic Series Godzilla 1962, ギガンティックシリーズ 「ゴジラ（1962）」 was announced in April 2016 and finally landed three months later in July. This vinyl is super-movie-accurate in both sculpt and paint applications. The result is one helluva King Kong vs. Godzilla collectible. Dare I say ‘the ultimate’ Godzilla 1962 collectible? It’s about 18 inches tall and its width (or length) from its left foot to the tip of its sideways tail is a whopping 25 inches! It’s got quite a bit of heft to it at almost 7 pounds. Truly Gigantic. SuperGodzilla1974 unboxes the Gigantic Series Godzilla 1962 (King Kong vs. Godzilla) vinyl figure by X-Plus.